There are a lot of misconceptions about mortgage brokers. Here is some information to help you understand what mortgage brokers do and the advantages of using one. CHOICE: Mortgage brokers have relationships with the major banks and top lenders. This means I have access to a large portfolio of products and rates. Many lenders only deal with brokers and therefore are not accessible to the general public. You are not stuck with one bank which makes the chances of getting an approval higher. LOW RATES & SAVINGS: The banks and lenders give brokers discounted low rates because they know they are competing with one another. There is no negotiating needed--I will find you the lowest rates, period. HONEST, PROFESSIONAL ADVICE: Being a mortgage professional my expertise is solely on mortgages and real estate planning. I will make sure that the options are best suited to your needs alone as I am dedicated to serving you. I work for you and not the banks. AVAILABILITY & PERSONALIZED SERVICE: I am at your disposal and am available all the time, 7 days a week. When the banks are closed, I am not. It is my duty to make the mortgage process as smooth and as easy as possible. FREE SERVICE: There is no charge to use my service and there is never any commitment. 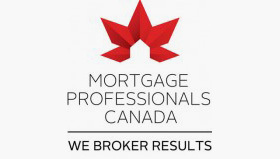 Mortgage brokers get paid a finders fee by the bank or lender we place you with. 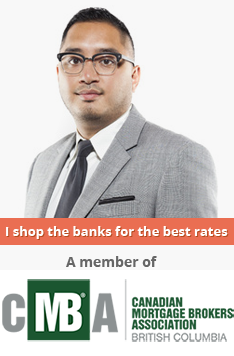 "I am a mortgage professional committed to serving the Greater Vancouver and entire British Columbia region with a standard of excellence. Let me help you with all your mortgage financing needs. My service is my primary focus as I am here to negotiate for you and to ensure your satisfaction. I work for you, not the banks."